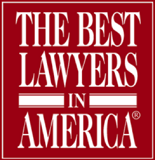 Jerry Knafo Selected to the List of "The Best Lawyers in America 2015"
Attorney Jerry Knafo has been selected for inclusion in “The Best Lawyers in America” for 2015. “Best Lawyers” is the oldest peer-review publication in the legal profession. A listing in “Best Lawyers” is widely regarded by both clients and legal professionals as a significant honor, conferred on a lawyer by his or her peers. The list of outstanding attorneys is compiled by conducting exhaustive peer-review surveys in which tens of thousands of leading lawyers confidentially evaluate their professional peers. Lawyers are not permitted to pay any fee to participate in or be included on the list. Jerry Knafo, a personal injury lawyer in Allentown, Pennsylvania, has been handling auto accidents, truck accidents, motorcycle accidents, falls, dog bites and work injuries for more than 30 years from offices in Allentown, Whitehall, Reading, Lancaster and Easton, PA. Knafo is president of the Elite Lawyers of America organization and has been selected as a Pennsylvania Super Lawyer from 2005 to 2014. If you have been injured as a result of an accident, call a personal injury lawyer. Call Knafo Law Offices at (610) 432-2221 for a free consultation. On August 26, 2010, DePuy Orthopaedics, Inc., a division of Johnson and Johnson, recalled two devices used for hip replacements since 2005. The Depuy Hip Recall Lawyers at Knafo Law Offices are available to answer any questions patients may have about their rights. An estimated 93,000 devices have been recalled. The DePuy ASR hip replacements subject to the Depuy Hip recall are: 1. ASR XL Acetabular System and the 2. ASR Hip Resurfacing System. These DePuy ASR hips have been implanted since 2005 in the United States and since 2001 internationally. Depuy ASR recall patients may require surgery to remove and replace the defective hip implant. DePuy Orthopaedics estimates that approximately 10,000 replacement surgeries may be needed. The reason for the recall is due to high levels of metal ions being released from the Depuy ASR hip. The release of metal ionscan result in damaged tissue, pseudotumors, and osteolysis. This could happen shortly after the DePuy ASR hip replacement is implanted or complications may occur years later. The DePuy devices were removed from the Australian market in December 2009. On May 25, 2010 a Medical Device Alert was issued in the UK for the DePuy Hip. Depuy ASR hip replacement patients may be eligible for compensation due to the injuries they have suffered as a result of being implanted with the defective DePuy ASR hip replacement. Past and future pain, suffering, medical bills, lost earnings, and disfigurement are among the damages that the patients may be entitled to recover.